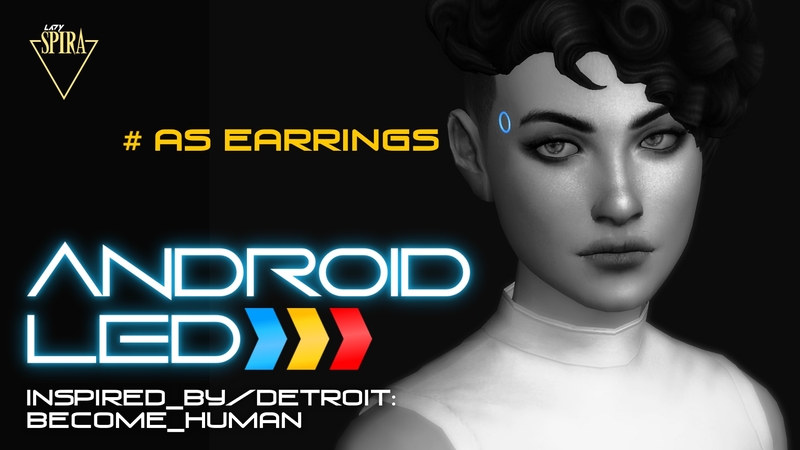 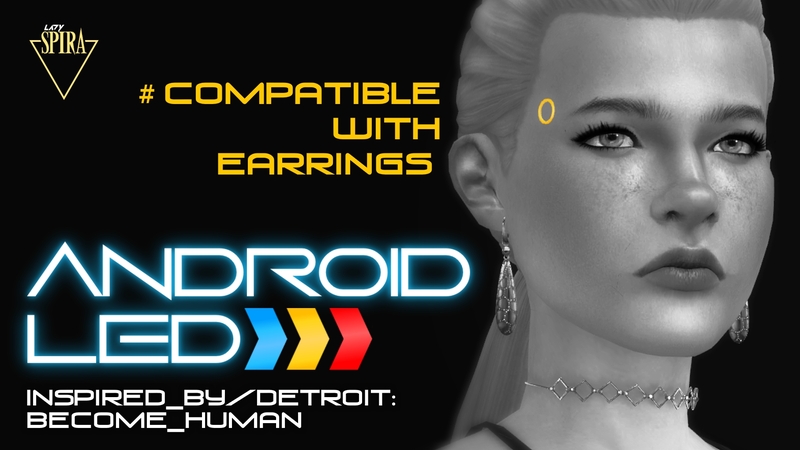 Glowing LEDs for your android sims, inspired by Detroit: Become Human. 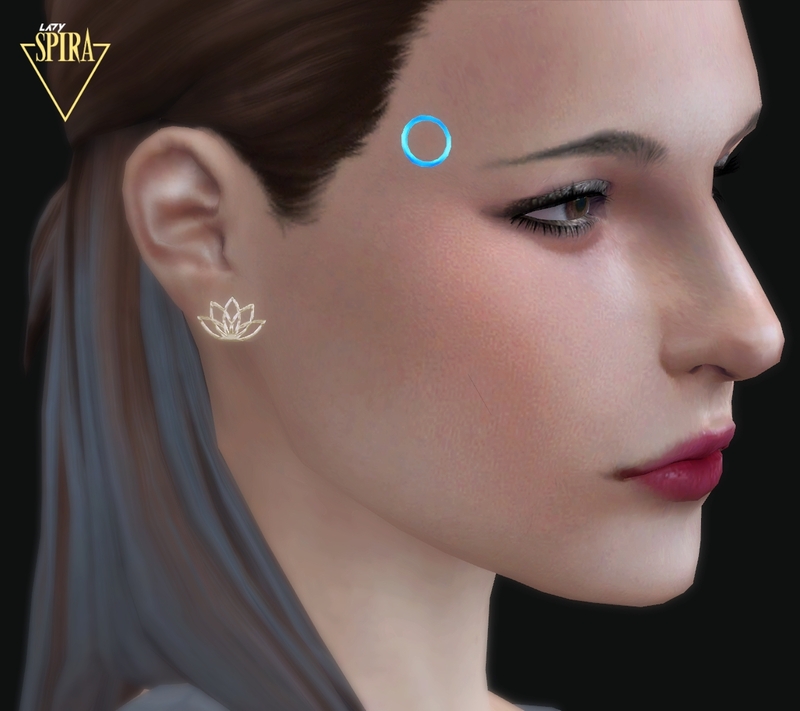 Unfortunately the LED won't sit perfectly on every single sim's temple, I'd have to make at least 10 versions to cater to all the different head shapes. 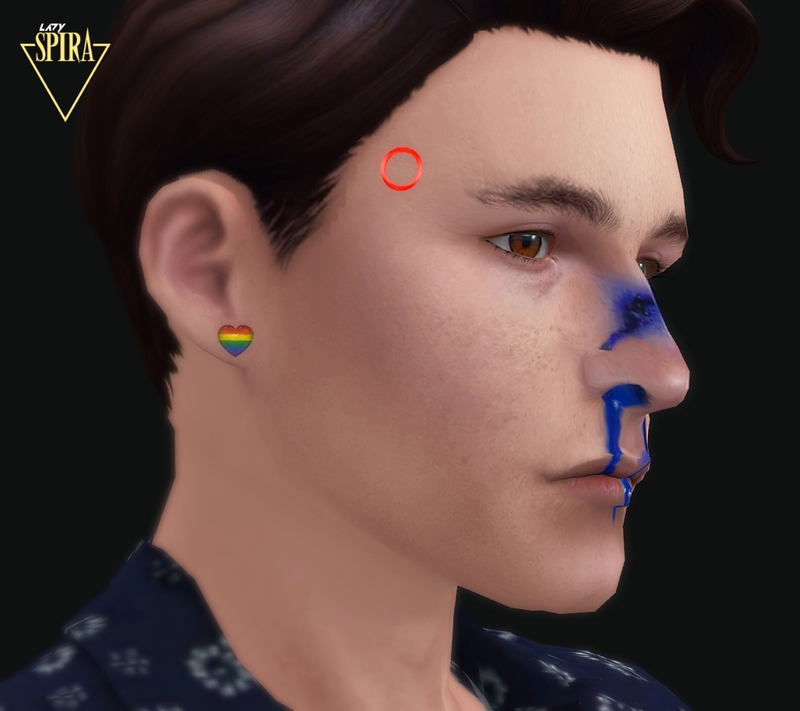 However, you can adjust its position by changing the sim's HEAD and EYEBROW WIDTH.